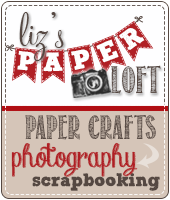 Liz's Paper Loft: MCT March Release Sneak Peeks Day 4 ~ birthday wishes! 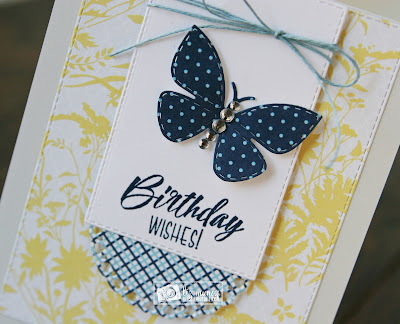 MCT March Release Sneak Peeks Day 4 ~ birthday wishes! 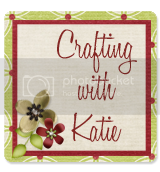 Welcome to Day 4 of My Creative Time March Release Sneak Peeks! 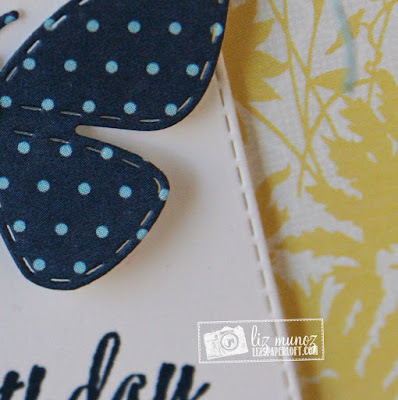 Today I get to share with you the Stitched Butterfly Die, which happens to be this month's freebie die (rules apply) and the Long Treat Box Die. After die cutting the Long Treat Box I stamped the plaid design using Simon Says Stamp Ink. A small rectangle die was used to create the window. Copic markers were used to color the chick. I added glossy accents to the eyes and beak, and a bit a chalk and white gel pen on the cheeks. 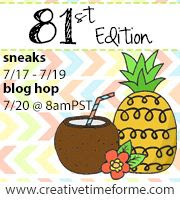 I'll see you back here tomorrow for our blog hop! 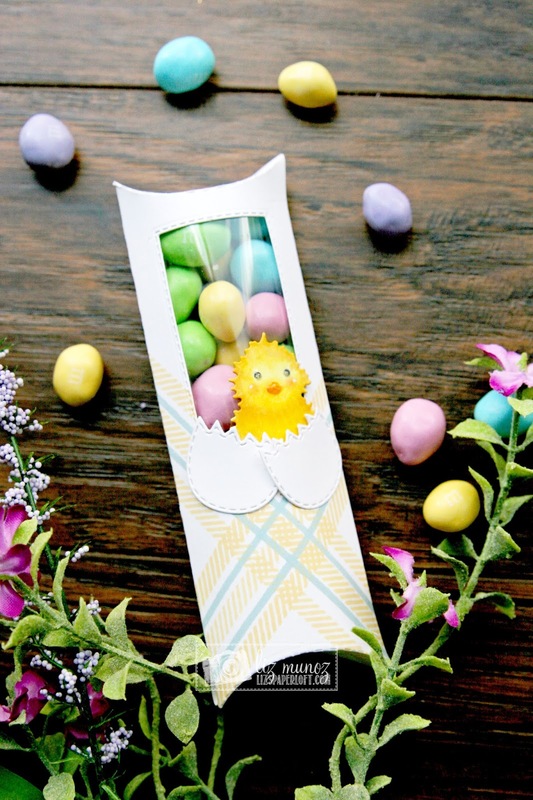 Beautiful card and an adorable treat box! Love the dotted butterfly and layering on your card, and the treat box with egg and chick is so perfect for a few Easter goodies! Fabulous projects! The card is so pretty and the treat box is adorable! Super cute chickie and love the plaid design as well! Amazing job by you and the rest of the DT! OMG Miss Liz...You most certainly got your clever and creative on!! 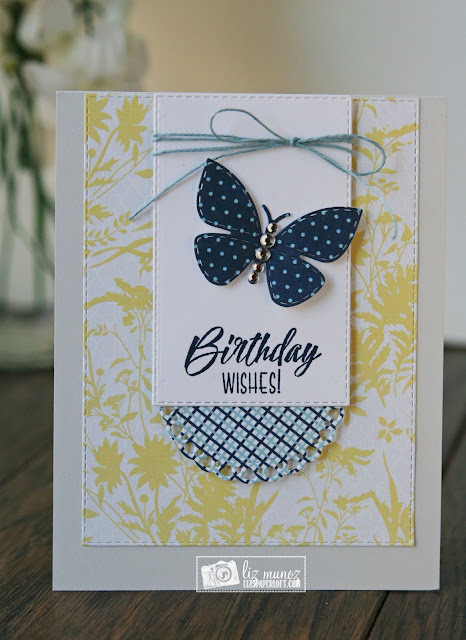 Your card is so Shabby Chic...love the papers also how you used the doily die truly all the layers so showcase that adorable butterfly. 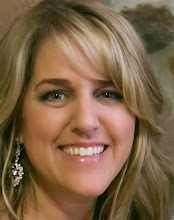 Your Treat Box is Gorgeous...Great stamping & coloring jobs, your plaid is so pretty & makes for one beautiful look. 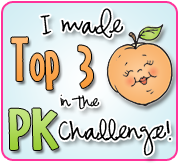 Your chicky is so cute...and noticed too that you created a shorter treat box window...you most certainly did 2 Outstanding Creative jobs!! YOU so ROCK!! 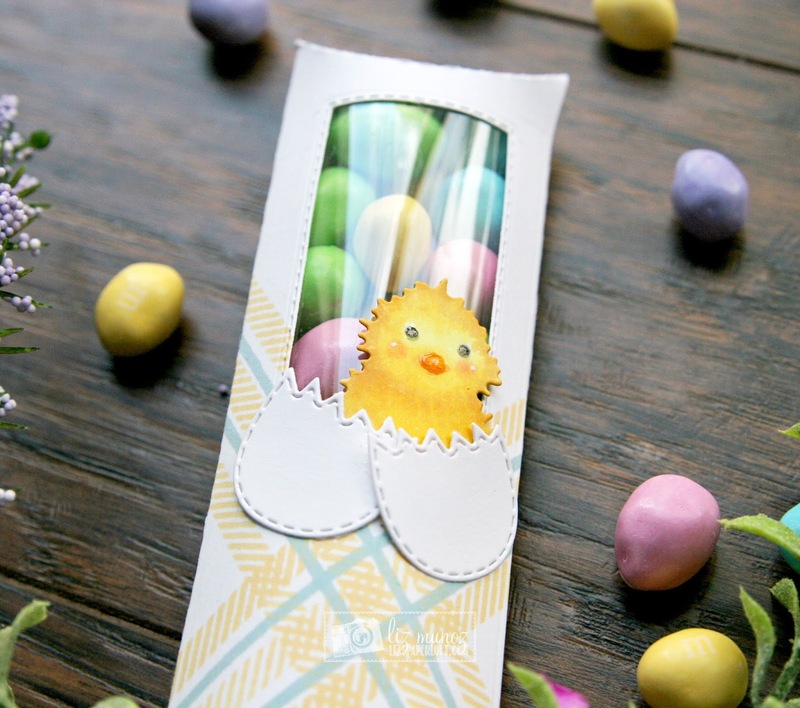 Your card is GORGEOUS, and your treat is so darn cute with the half window and your adorable chick!!! Wow! Pretty card with the yellow and blue, especially the blue polka dot butterfly. I also love the stamped plaid on the box. Beautiful card and I love love love that cute treat box! Your card is gorgeous!! I love the butterfly die. And your treat box is just too cute! This release is awesome! Beautiful butterfly card and cute chickie treat holder. I love today's sneaks. The butterfly is so pretty and I like your card design with the doily. Beautiful pattern layer too. I like the new treat box and love your little chick. 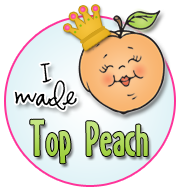 It looks great with the pretty plaid you created! Wonderful job.